At Bellegarde Bakery in New Orleans, baker Graison Gill is part of a generation of renegade bakers who are eschewing industrially ground white flour in favor of grinding their own flours from crops like red Ruby Lee wheat and heirloom corn. “White flour is a corpse,” says Gill. “It’s a dead, shelf-stable product. Freshly stone-milled flour is a living ingredient, full of flavor, texture, aroma, nutrition, and nuance.” Buy Bellegarde Bakery’s stone-ground grits online at . 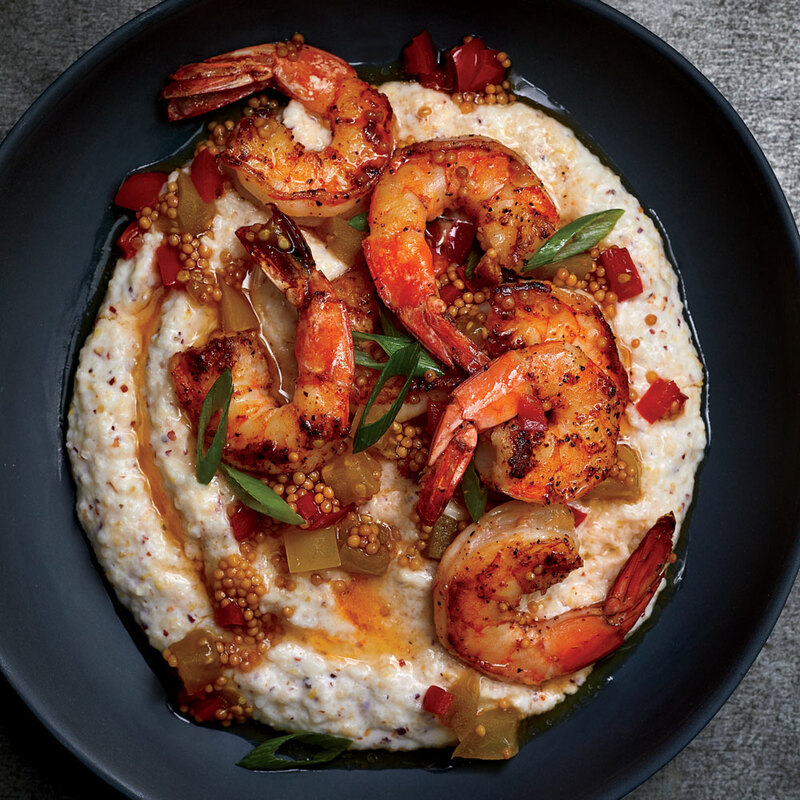 New Orleans–based chef Isaac Toups loves Bellegarde grits for their creamy texture and buttered popcorn flavor. Chowchow can be made up to a week in advance and is delicious with grilled meats or other rich dishes.